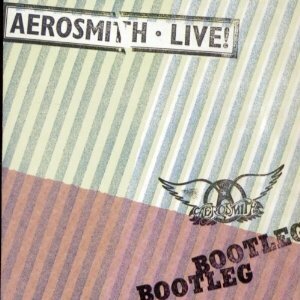 Live Bootleg is a live album by Aerosmith recorded from concerts in 1977 and ’78 with two songs from a radio broadcast in 1973. This represents the group after their first peak of success with the heavy metal/sleaze rock classic albums Toys In The Attic and Rocks which were strongly influenced by Led Zeppelin and The Rolling Stones. The set list is drawn from many of Aerosmith’s early albums but it never really catches fire. Perhaps they’d have been better playing more from Toys In the Attic and Rocks. Amazon reviewers are very positive. This live album misfires and doesn’t capture the spirit of early Aerosmith for me. That’s a shame because of my love for live music but, if I want to hear this group, I tend to turn to Toys In The Attic first. This entry was posted in 1970s Live Albums, Heavy Metal Live Albums and tagged 1970s hard rock, 1978 live albums, Aerosmith Live Albums, Heavy Metal 1978 by Paul Simister. Bookmark the permalink. A great raw and honest live album. Wonderfully wasted Mama Kin, hectic Toys in the Attic and exhilarating Sweet Emotion. Then there’s Mother Popcorn….. this is rock n’ roll! I’m very glad for comments but I won’t allow website brand names.